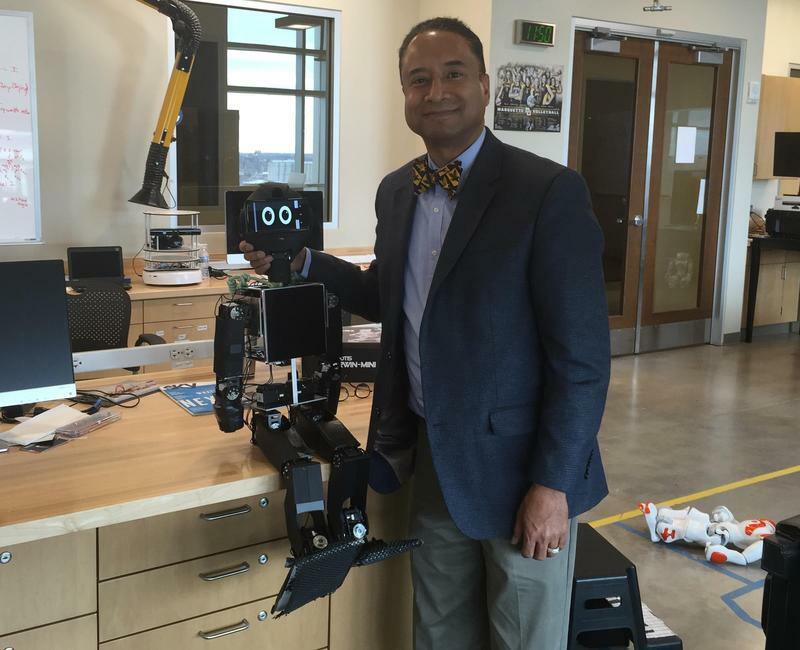 Marquette professor Andrew B. Williams poses with one of the creations in his robotics lab. There's a buzzword you may hear these days when people talk about ways to grow the economy: innovation, as in the ability to create new products, processes and services. Innovation is underway in Milwaukee, although it’s not always visible or as robust as in some of the country’s hot spots. For the next week, Project Milwaukee will examine the role innovation plays in the local economy. We kick off the series with a look at how innovation might be defined today. A century ago, it largely meant manufacturing things such as motors, tractors or car frames. In one classroom today, innovation means a sleek two-foot-tall humanoid robot, named Rosi. She's standing on the floor in Andrew B. Williams' robotics lab at Marquette University. His students programmed the robot to lead an exercise routine. Rosi provides her own music and maneuvers with amazing fluidity, doing a hamstring stretch first, then a pushup. A National Science Foundation grant is funding Williams' research to use robots to help teach STEM, or science, technology, engineering and math. He says besides learning, students could perhaps break new ground. Imagine robots similar to Rosi in homes. "A robot that could live kind of like a pet, and if she detects that someone hasn't been exercising or eating right, she can give some coaching advice or coax them to do some exercise," Williams says. This is just one example of innovation in Milwaukee with a modern twist. There have also been medical advances. Tim Sheehy, who heads the Metropolitan Milwaukee Association of Commerce, says manufacturers that have been around for decades also are innovators. He says they've had to be creative to survive. "From companies as large as Johnson Controls innovating a longer-living, lighter battery, you think about (innovation) from Rockwell, and kind of leading the internet of things, where machines are talking to the office, and I think about it from companies like Milwaukee Composites, which make a very innovative, lightweight flooring for transit vehicles," Sheehy says. 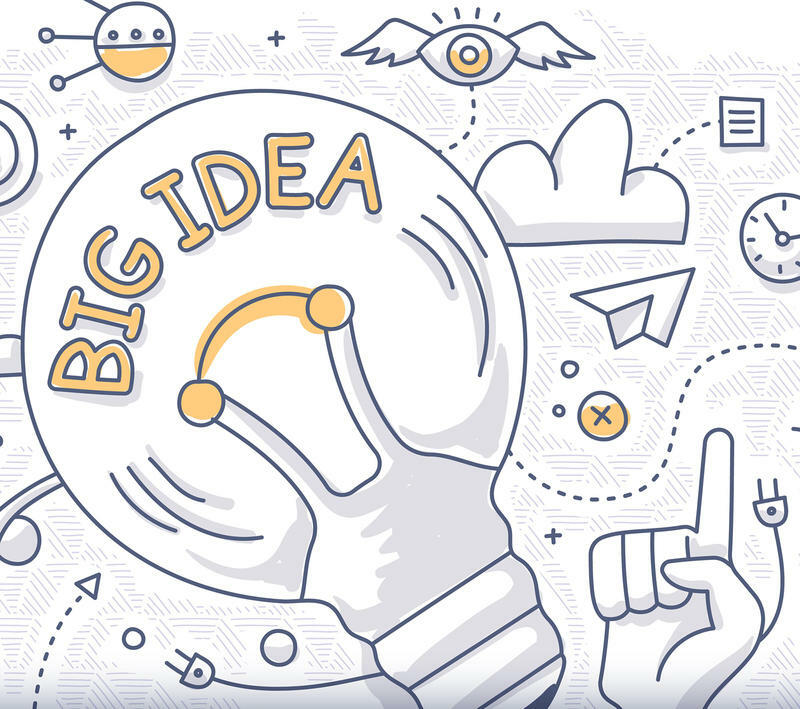 Innovation also can be described as "new ways of doing things that are better, that are faster, or more aligned, or easier -- any of those things," according to Wendy Baumann, president of the Wisconsin Women's Business Initiative Corporation. It helps women- and minority-owned businesses get off the ground. Baumann considers innovation important in her line of work because a pioneering idea could spark new businesses and jobs. "Unemployment and with certain sectors is higher than what we'd like to see. We'd like to see everybody employed, but not just employed, but in really gainful positions. So we need to look at innovation for new areas," Baumann says. New areas are Greg Meier's specialty. He helped establish the concept of "accelerators" for tech startup companies in Milwaukee. Accelerators provide seed money and other support. In his Fifth Ward office, Meier pulls up a diagram on his computer screen. It shows dozens of colorful lines, fanning out from the center. The lines chart the progress of startup firms. "There's well over 100 some startups that collectively we've helped to get launched, funded over the last, now, just little over six years," Meier says. Yet entrepreneurship here appears dreary, if you look at a state-by-state ranking from the Kauffman Foundation. Meier says Wisconsin can't drop any lower. Even so, he says he's optimistic because innovation has been on an upswing. "Is Wisconsin heading in the right direction? I'd say yes, but kind of in our world we see these things are 20-plus-year endeavors. You don't turn the ship in the middle of the night," Meier says. 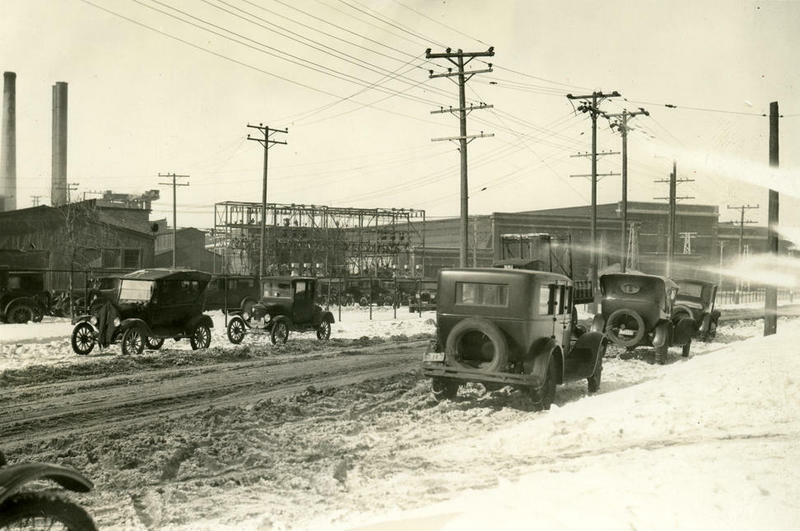 Milwaukee was ground zero for the industrial boom of the late 19th century. Hundreds of machine shops were operating in the heart of the city; many of their inventions helped grow the companies into worldwide enterprises. Yet today, Wisconsin ranks toward the bottom for entrepreneurship while the business community works to improve the numbers. “This was kind of the Silicon Valley of the late 1800s," local historian John Gurda says.